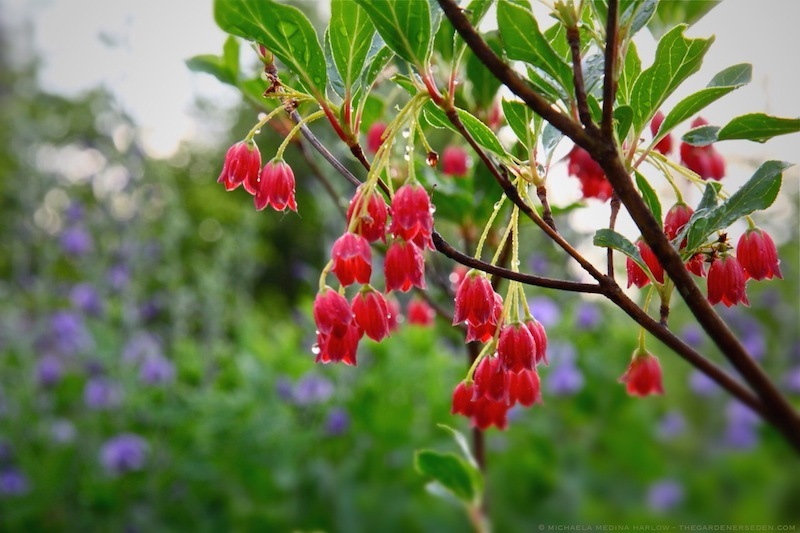 § 2 Responses to Enkianthus campanulatas ‘Red Bells’ Rings with Rosy, Late Spring Blossoms & Glorious Beauty Beyond Bloom . . ."
A beautiful plant that I would love to try. I haven’t planted it, thinking it needs shade (I have very little), but you say it does well in mostly sun. I may have to get enkianthus now! It really is a beauty. Enkianthus does prefer partial shade, however it will grow in mostly sunny locations with protection from mid-day sun. 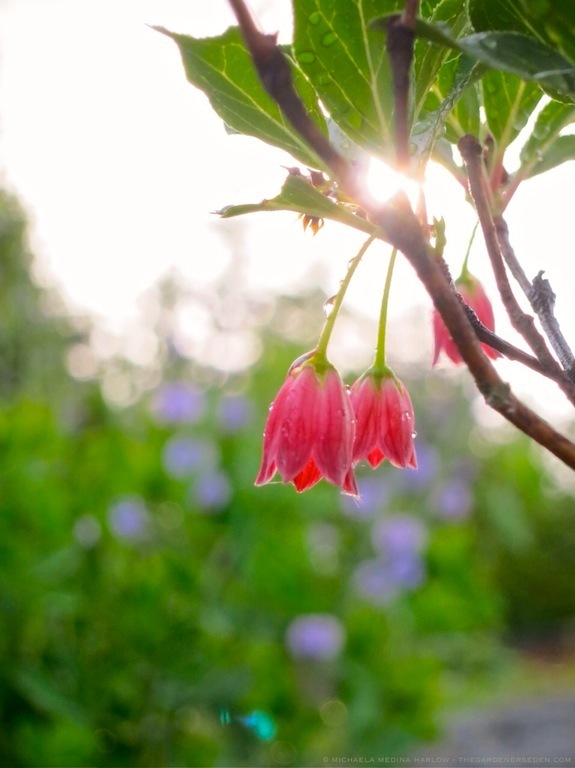 The most important —key in fact— requirement for Enkianthus is soil acidity and moisture. Soil pH must be below 6.5 (lower is better, as with blueberries), in order for this plant to thrive. I have successfully planted Enkianthus in mostly sunny spots with moist, acidic soil —including a mostly sunny spot in my own garden— with success. 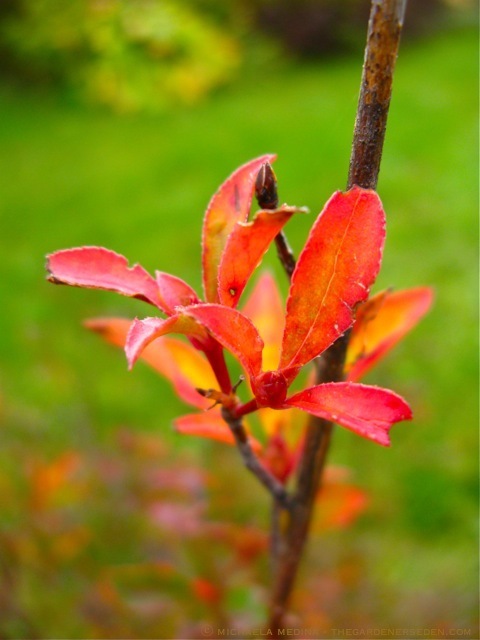 Like Vaccinium, Kalmia and Rhododendron, Enkianthus will fail to thrive in neutral to alkaline or alkaline soil. If blueberries grow well on your site, Enkianthus should also work. I would not site Enkianthus where it has no protection from hot, mid-day sun. Morning sun would be fine, or even northwestern exposure, late afternoon sun. Mostly sunny or bright light is fine, but if your site has non-stop, glaring sun, this shrub will probably not work well. Again, Enkianthus does prefer some shade, but not full shade. The most critical issues are soil acidity and moisture. You are currently reading Enkianthus campanulatas ‘Red Bells’ Rings with Rosy, Late Spring Blossoms & Glorious Beauty Beyond Bloom . . . at The Gardener's Eden.